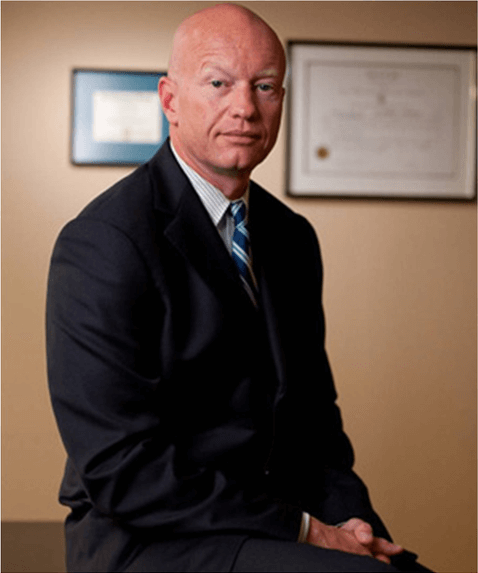 RI Parole & Probation Violation Lawyer - S. Joshua Macktaz, Esq. Josh is committed to following through with his clients and ensuring they are happy. He is not only thorough but he is very responsive and cares. I appreciated his help and he adequately explained the process. My Experience with Josh representing me was beyond what I could have hoped for. Josh explained his thoughts and exceptions on my case & followed through to receive the best outcome.. Cannot thank you enough Josh! I highly recommend the services of Josh Macktaz. He was responsive, efficient and very realistic about my case and the associated penalties. My legal costs were exactly as he suggested on our first call (which were fair). He is very knowledgeable of the Rhode Island law and has very strong contacts at the traffic tribunal. Related, he handled minor hearings without me which saved me money and travel time. He did the best possible job for a guy in my situation. Anyone that has a drunk driving charge in RI that does not consider Josh Macktaz is risking their future and wasting their dollars. My experience with Josh was beyond positive. If I could rate higher than five stars I would. Through out my entire process he was professional, straightforward, knowledgeable and understanding. It did not take long after meeting him I knew I needed him to represent me. Although my road was long Josh stuck with me every step of the way. There is no doubt in my mind without him I would not have been able to get the best possible outcome in my case. For that my family and I are forever grateful to him. He truly is a master of his craft and a fighter through and through. If you need representation look no further " This is the Man you want In your corner." I hired Joshua Mactaz to represent me. He did an amazing job. He is very knowledgeable, hard worker and will do anything for you. I would recommend him to anyone and I would certainly have him represent me again. We always dealt with Josh Macktaz directly. He walked us through every step of the process and answered all our questions. His representation for us in the court room was handled professionally and we are extremely happy with the outcome. Amazing lawyer. Josh explained every step to resolving my issue and got me the best possible outcome for my case. He is very to the point and will fight to defend his clients in their toughest times. If you find yourself in trouble in Rhode Island, there is no one I would recommend more than Josh! Prior to contacting Joshua I was a mess. He put me at ease during my free consultation and I decided he was the right person to represent me on the spot. He delivered on everything he said he would. After meeting with several lawyers I chose Mr. Macktaz to represent me. His professionalism and positive attitude helped ease the stress of a difficult situation. Josh provided a detailed timeline of the court process and was clear on what my expectations should be. He was prompt in returning my calls and answered any questions or concerns that I had. I would recommend Josh to anyone in need of representation as he went above and beyond in securing the best possible outcome for my case. Mr. Macktaz was very professional and helped me with my legal issues swiftly and very effectively. Who knew what to do and every steps to take. Highly recommended, one of the best in the business. I will start off by saying I knew nothing about the criminal or traffic court system until March 2018. I made a choice to have one too many and was arrested (DUI). Dealing with the embarrassment of an arrest and fear of losing my job, I "google searched for a DUI lawyer" and Josh Macktaz name appeared. Although apprehensive about using a a Google Review to determine my future, I made the call. This is my experience... 1) Mr. Macktaz made time to meet me the day I outreached him. (free consultation)2) During our initial meeting Macktaz outlined in detail what I had ahead of me; including court dates and car insurance details.3) Mr. Macktaz was at every court appearance and explained what was going to happen in court and the potential outcome.4) He was confident in what the outcome would be... and he was right!In closing... would I retain Mr. Macktaz if I ever needed criminal representation again? Yes, he would be my first phone call. He continually follows up with his clients. I never felt the need to outreach Mr. Macktaz since he called or emailed first! Professional, experienced and extremely knowledgeable! Josh took the time to answer all my questions, and was always very responsive. He was able to put my mind at ease. He was able to get my charges dismissed and my case expunged. Best Attorney in RI!!! Josh was very professional and extremely knowledgeable of my situation. He took the time to meet with me face to face multiple times to gather all the facts so he could develop the best plan possible. After collecting the facts he sat me down and he discussed all the options I had and why certain options may or may not be available in my situation. During this very difficult time, I at least felt comfortable that I received the best possible outcome and Josh is the reason why. A true professional through and through. For someone who is totally new to the court system Josh took the time to sit and explain options,situations and solutions before he even a dollar was given. He made you feel protected within the court system, and I would recommend him to anyone looking for good help. He was a total down to earth and knowledgeable person someone you'd want on your side. Any help or questions I had were solved within hours by email and he kept connected with me throughout the whole process. Me and my whole family are greatful for the help! Thanks Josh ! Josh is unlike any attorney I've ever had contact with: and I have worked with and for several. Customer service is a key part of the great service he personally delivered. It is with great confidence that I am able to refer him. He brought me the best results possible. He also returned every single phone call. Thanks Josh! Parole and probation are completely different things. Parole occurs when a prisoner is released from prison after having served either a portion or all of a sentence. Probation is an alternative to initial incarceration. Criminals who receive probation as a sentence will be able to remain members of their community, without seeing the inside of a jail or prison, so long as they follow rules set by the court. These rules may require them to seek counseling or treatment, participate in community education or perform community service. They will also be required to attend regular meetings with their parole officer. If they break any of these rules, their probation can be revoked, and they can be sent to prison. WHAT IS A PRESENTENCE INVESTIGATION REPORT AND WHAT IS IT USED FOR? A presentence investigation report often called a “probation report,” is a report prepared to help the judge decide what sentence to give someone who has either pled guilty to a crime or been found guilty of a crime. The report is prepared by a probation department, which should be a neutral agency, as it is independent from both the prosecution and the defense. The report will include sections on the defendant’s personal and employment history and prior criminal history, as well as details of the offense. While the probation officer interviews the defendant, he or she will often describe the details of the offense as set out in police reports received from the prosecutor. The report may also contain statements from victims. The report will often conclude with a sentencing recommendation. With the possible exception of the final sentencing recommendation, the report is given to the defendant before sentencing, so that the defendant can object if desired. While presentence reports don’t determine a judge’s sentence, judges rely heavily on them. You and your lawyer should make sure you’ve reviewed the report thoroughly and presented your objections before going to the sentencing hearing. WHO SETS A SENTENCE AND HOW IS IT DETERMINED? Some state and all federal criminal statutes include “mandatory sentences” which require judges to impose specific and identical sentences on all defendants who violate those laws. WHAT’S THE POINT OF A SUSPENDED SENTENCE? A “suspended sentence” is one that’s imposed but not carried out. If you stay out of trouble, you don’t have to serve the sentence. Judges often give first time offenders suspended sentences as an incentive for keeping out of trouble. It also frees up scarce jail space for more serious offenders from whom society needs to be protected. At the end of the suspension period, the judge lifts the sentence if you haven’t gotten into trouble. But if you re-offend during your suspension period, it’s off to jail for the length of your sentence. DOES COMMUNITY SERVICE OR PROBATION STILL GO ON YOUR PERMANENT RECORD? Community service and probation are types of criminal sentences. You can only be sentenced after you’ve either pled guilty to a crime or been found guilty by a judge or jury. If you pled guilty on a deferred judgment, sentence, diversion program or a deferred adjudication, you won’t have a permanent record once you successfully complete the terms of the probation or community service. At that point, the law for all practical purposes considers the guilty plea withdrawn as if it was never entered. There are, however, some circumstances in which you can still be penalized for it. For example, deferred sentences count as one point in computing your criminal history under federal sentencing guidelines. If you pled guilty with no express conditions as to the deferment of the sentence or conviction, or if you were found guilty following a trial to the court or jury, you’ll have a permanent record. If you pled guilty and don’t know whether it was pursuant to a deferred sentence type of arrangement, you can go to the courthouse where you entered your guilty plea and ask to see your file. There will be a docket sheet or other listing of court minutes inside, containing the terms of your plea and sentence, including whether the judgment was deferred. IS THERE ANY DIFFERENCE BETWEEN BEING SENT TO JAIL OR PRISON? Jails are locally-operated correctional facilities. Inmates sentenced to jail usually have a sentence of one year or less, although this can vary by state. Jails also incarcerate persons in a variety of other categories, such as: People being held pending arraignment, trial, conviction, or sentencing Those who have been returned to custody following violation of the terms of their release on probation or parole People being transferred to the custody of other criminal justice/correctional authorities Prisons are operated by either a state or the federal government, and confine only those individuals who have been sentenced to one year or more of incarceration. Generally, persons sentenced to prison have been convicted of a felony offense. WHAT’S THE DIFFERENCE BETWEEN SOMEONE ON PAROLE AND SOMEONE ON PROBATION? Parole and probation are different forms of supervision after sentencing. Parole is supervision that begins after a person’s release from prison or jail after serving part of a sentence. Parole is a privilege, not a right. While only a judge can sentence someone to a jail term, the judge doesn’t decide how much of that jail sentence the person will have to serve before being released back into the community. This decision is usually determined by the state legislature. Most states have parole boards that make the decision whether to release an inmate once they become eligible for parole. If a person violates the terms of their parole, they can be sent back to jail to finish serving their sentence. Probation is a sentence that a judge can give instead of jail or in addition to jail or prison time. Like parole, it has conditions attached. If a person violates the terms of probation, the judge can then give them any sentence the judge could have originally given them, including a jail term. In the federal system, parole is no longer available, as federal sentencing guidelines apply instead. In federal cases, there is something called “supervised release.” The length of a supervised release term is suggested by the sentencing guidelines, but in the end it’s decided by a judge. Probation is available only in limited circumstances. CAN I MOVE IF I’M ON PROBATION? It’s fairly common for people on probation to want to move to another state. Courts will often grant a request to move, especially if there’s a good reason such as a new job or to be closer to family. The process varies from state to state, so your probation officer can best tell you how to get the process going. Often, it’s simply a matter of filing a motion with the court requesting permission to move and asking that your probation be transferred to where you want to relocate. You’d be reporting to a probation officer in your new location, just as you do with your current probation officer. You’d also be expected to keep up with any payments you’re obligated to make while on probation, as well as any conditions such as drug testing. Your probation officer can also make a recommendation as to whether you need a lawyer to make your request to the court. DO I HAVE TO COMPLETE THE ENTIRE PROBATION TIME? Whether your probation officer can recommend an early end to your probation will depend heavily on state law. If you have accomplished all of what was expected of you, you can petition for an early release from probation. Probation is a sentence with certain conditions that must be followed. If any of the conditions, such as no drug use, are violated, your probation officer will notify the court or prosecutor. The prosecutor may decide to file a complaint asking to have your probation revoked and put you back in jail. If this happens, you’ll be served with the complaint and given a date to appear in court to answer it. At this point, you should find a lawyer. If you can’t afford a lawyer, one will be appointed for you. In most states, a court has several options after finding that someone has violated the terms of his or her parole or probation. The court can impose any sentence that could originally have been imposed for the crime you originally committed, including jail. The court could also re-sentence you to probation, even on the same terms as before. Or it might re-sentence you to probation but increase the severity of the conditions of your probation, such as putting you in a half-way house or placing you on home detention or in an intensive supervision program, or requiring you to complete a drug treatment program. CAN YOU APPEAL BEING FOUND GUILTY OF VIOLATING PROBATION? In most states, you’ll be allowed to remain free on bail while waiting for the judge’s decision on whether you’ve violated probation. At the probation revocation hearing, the prosecutor must prove you violated a condition of your probation by a “preponderance” of the evidence, unless the state is charging that the violation consists of you committing a new crime. For a judge to revoke your probation because you committed a new crime, most states require the prosecutor to prove “beyond a reasonable doubt” that you committed the new crime. There is no jury trial in a revocation proceeding. If the judge finds you violated the terms and conditions of your probation, she can revoke your probation and give you any sentence she could have originally given you, including putting you on probation again. Or she can sentence you up to the maximum prison term allowed for the crime for which you were originally found guilty. You can appeal the judge’s decision to revoke your probation, usually to the next highest court in your state. You can also apply for bail pending your appeal hearing. But if the judge denies bail, it’s an uphill battle to get the court overruled. There shouldn’t be an automatic increase in the amount of bail. However, it’s common for judges to consider probation violators to be at higher risk for flight and increase the amount of bail during the revocation appeal process. Copyright © 1987-2019 The Law Office of S. Joshua Macktaz - All Rights Reserved. DISCLAIMER: This site and any information contained herein are intended for informational purposes only and should not be construed as legal advice. Seek competent legal counsel for advice on any legal matter. Also, the Rhode Island Supreme Court licenses all lawyers in the general practice of law, but does not license or certify any lawyer as an expert or specialist in any field of practice. Legal Web Design and SEO by Shark Bite SEO.